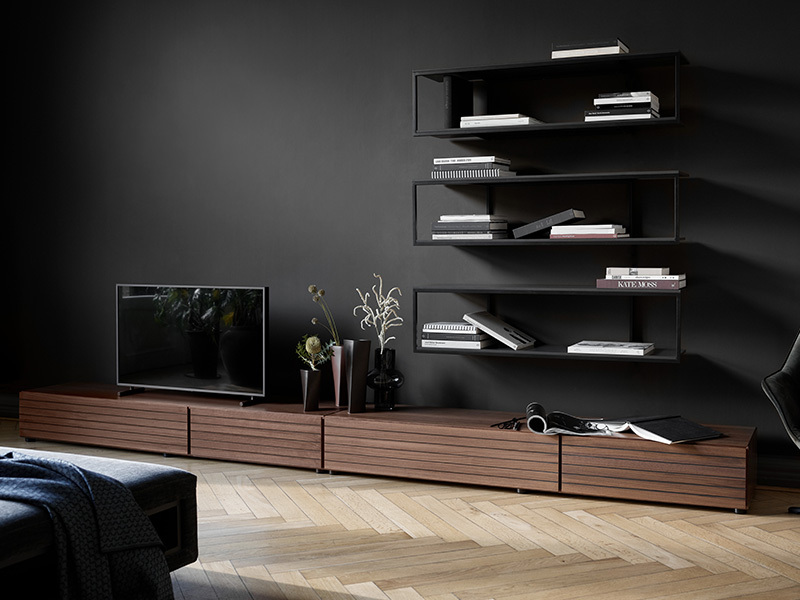 The Lugano lowline TV Unit by BoConcept can solve any storage challenge in the most beautiful way. It has also been developed for organising and storing today’s many electronic devices. Keep all your equipment behind doors or in drawers so you can concentrate on enjoying great sound and vision. 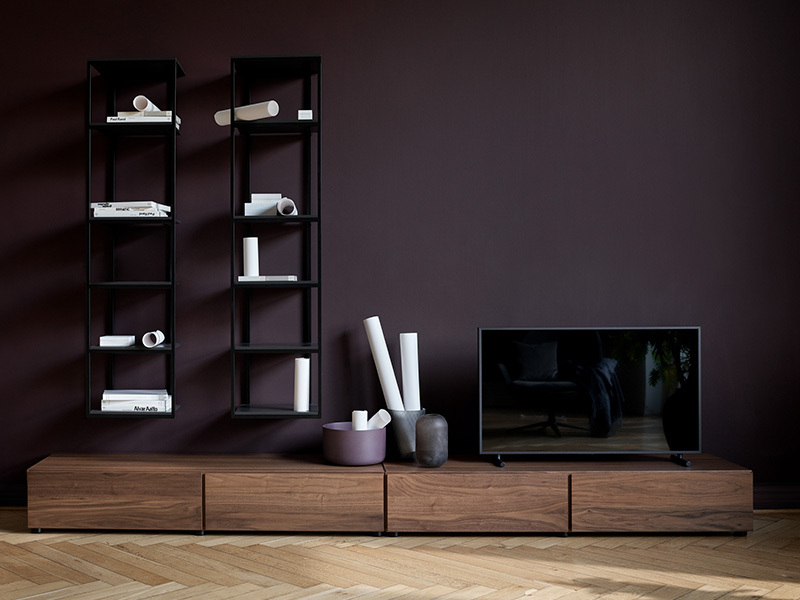 It can also be paired with the Como shelves by BoConcept for a unique twist, adding interesting colours to the more neutral tones available for the Lugano. Create tonal contrast by playing with the different colours available for the Como, including ash grey and charcoal grey. 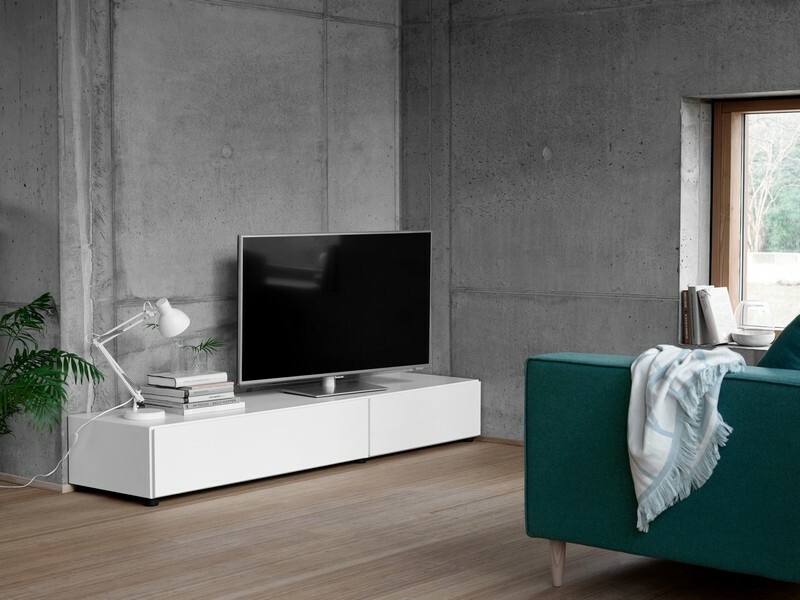 If you’re after something a little less complex, take a look at the stand-alone Lugano media units. A wall-mounted Como shelving unit by BoConcept will add just that little extra sparkle, giving your living room a unique twist. The Lugano wall system has strong lines and intersecting planes, embodying current design trends for media display. We love the copper with the walnut veneer. Have a large wall space in your living room that you don’t know how to fill? The Lugano is a perfect option for when you want to display your favourite artworks, vases, baskets and ornaments.